Agent Select / Property News / What lies in store for 2019 property market? Twenty seven years without a recession tells you that policymakers have got a lot right. But measures aimed at protecting an economy from disaster can lay the groundwork for future disasters. The banking royal commission highlighted the lending excesses that helped fuel a property boom with the blessing of regulators and the Reserve Bank. 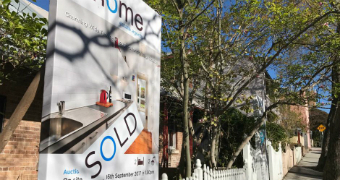 Policymakers saw the property market as a vital support when the economy was threatened by the end of the mining boom and the global financial crisis. It worked too well. Led by Sydney and Melbourne, the combination of loose lending by banks, low interest rates, favourable tax laws and foreign investment created a boom the likes of which we have rarely experienced. Now policymakers have embarked on the extremely difficult and risky task of deflating a property bubble with the aim of engineering a soft landing. 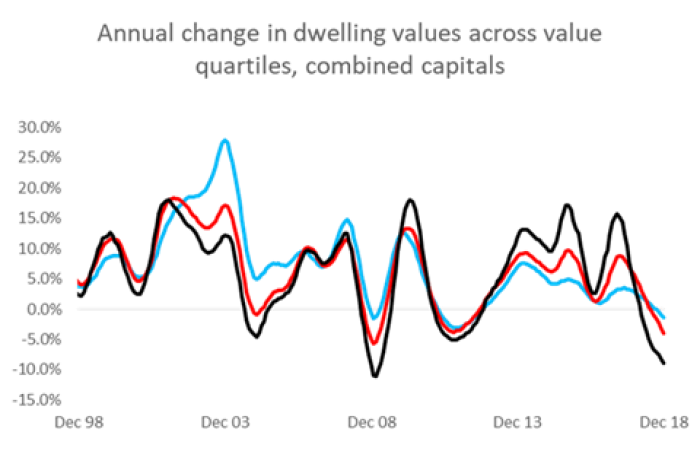 So far so good, but like the property boom which went too far, the regulator-induced correction could overshoot with disastrous consequences for the wider economy. A collapse in property prices would see developers go broke, leading to job losses and pressure on the banks. Households, already constrained by high debt, rising costs and weak wages growth may become more defensive by cutting spending and saving more. This would have a knock-on effect to the broader economy because households make up more than half the economy. By this time next year we'll know whether policymakers have got it right. One thing property buyers or borrowers don't have to worry about is higher interest rates. Given the recent softness in the national accounts, there's a good chance the RBA will be revising down its growth forecasts to start the year. Most economists have pushed out their rate hike forecasts to early next year but predictions of a rate cut, which might have seemed confined to crackpots six months ago, now look respectable. At this point the jobs market is holding up, the economy is running around average speed, interest rates are low, households have not shut down and wages growth is picking up ever so slowly. As things stand, none of this seriously threatens the property market. The major domestic threats are fear itself and tighter credit conditions. New treasurer Josh Frydenberg, who has an election to win, is calling on the banks to loosen up. Banking regulator APRA has eased some lending restrictions, and the Reserve Bank governor has warned of the dangers of banks becoming too scared to lend due to the royal commission. Banks and their leaders have spent the best part of a year being pilloried by the community. We have heard countless apologies and admissions from bank bosses suggesting they've learned the error of their ways. 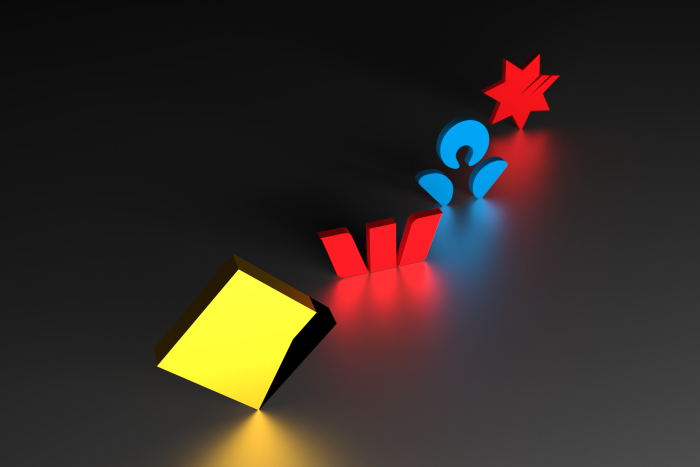 The royal commission has exposed the naked truth about banking conduct and irresponsible lending. What many people now describe as a "lending crackdown" or "credit squeeze" is simply the banks behaving as they should, lending more responsibly and conducting thorough loan assessments. So don't expect the banks to rescue the property market. Their hands are tied and they've been burned too badly. Not by falling property prices but by public humiliation, the regulators and royal commission. It is a major reason property prices will continue falling. Property analyst with Digital Financial Analytics Martin North says: "Eighty percent of the impact on house prices is credit availability and that is now significantly tighter." "The royal commission has underscored what responsible lending actually means in terms of assessing loans, so the banks are now going through many more hurdles when it comes to lending, and that won't change," he added. Buyers also expect prices to fall. That, in itself, puts downward pressure on values. Also unhelpful is the trouble brewing globally with both China and the US showing signs of slowing, which will simply add to the domestic headwinds. Martin North says price falls in Sydney and Melbourne are halfway done at least. He expects prices to come off between 20 and 40 per cent with the major cities eventually dragging down all markets. Commonwealth Bank chief economist Michael Blythe sees a continuation of the price falls with the cities down more than the regions due to their much larger price appreciation. But the CBA considers the price correction two-thirds of the way through, with first home buyers and population growth helping to slow the decline. Martin North says the apartment glut coming on-stream in capital cities will offset population growth. Savings represent the biggest risk, according to Michael Blythe. Falling house prices may make consumers reluctant to cut their savings rate any further and that will have knock-on effects throughout the economy, but he dismisses the doomsayers. He says, "areas dominated by investors have seen the biggest price falls because they've been targeted by the regulator for financial stability reasons". "If the property price slump is a response to regulation changes", he says, "then it's not an indication of some sort of fundamental imbalance in the housing market that gives you the more catastrophic outcomes that people tend to worry about". Research group CoreLogic has issued its forecast for property markets around the country and it is not expecting a property crash. 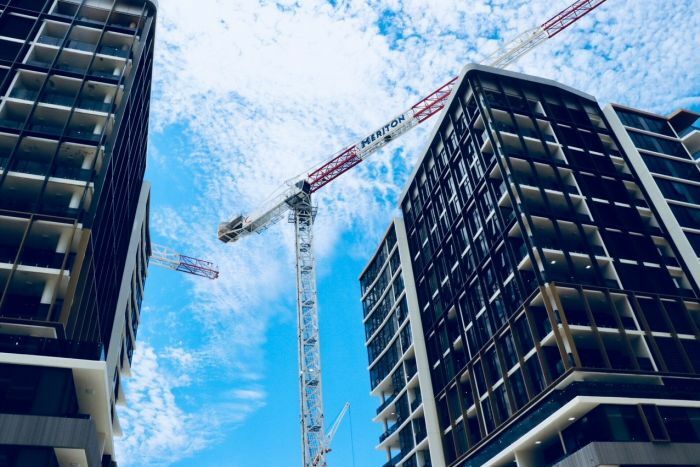 It is expecting a glut of new apartments to come onto the market in Sydney and Melbourne this year and is already seeing a growing proportion of these developments settling at lower prices. An experience it expects to become more widespread. But on the other hand it's counting on increasing migration and improving affordability to help support the market. Regional markets in New South Wales which are not considered coastal retreats are also likely to see a downturn. Regional Victoria will fare better with values expected to push higher during the year due to strong population growth and healthier affordability levels. Interstate migration is expected to see mild growth in Brisbane, the Gold Coast and the Sunshine Coast but regional Queensland will be mixed with hard-hit mining areas starting to recover. Improving housing affordability and interstate migration will help support Adelaide's housing market. Regional South Australia can expect mild growth at best after some difficult years. People are continuing to leave Western Australia, which does not augur well for the property market. The good news is that Perth's housing market is expected to bottom-out this year as the economy improves. Regional areas of the state, where prices have plunged up to 55 per cent, may start to bottom out and a return to mild growth. Tasmania is the standout thanks to rising migration rates, a housing shortage and healthy housing affordability. Prices are expected to continue rising in Hobart and the regions, but the growth rate will weaken. Darwin is now the most affordable capital city housing market which means it could start attracting some value-hunting investors. But it's lacking major job-creating industries so economic conditions and the future of property prices remain uncertain. The prospects for Canberra look good. Unemployment is low, migration is trending higher and public sector wages have been growing more strongly than the private sector.